Welcome to Elder Chrysler Dodge Jeep Ram! Elder Chrysler Dodge Jeep RAM of Athens is your hometown Texas Chrysler, Dodge, Jeep and RAM dealer. Elder Chrysler Dodge Jeep Ram Dealer has a Variety of New Chrysler, Dodge, Jeep, Ram & Used Cars in the Athens, Tyler, Corsicana & East Texas Area. Upon arriving at Elder Chrysler Dodge Jeep Ram new and used car dealership serving the Tyler and Corsicana area one of our experienced and knowledgeable automotive staff will greet you and treat you to a world-class auto service experience. We set the bar high and always aim to not only meet but also exceed the expectations of our customers. We’ve served hundreds of customers from Tyler, Corsicana, and east Texas. Set up a test drive in a new SUV, car, van or truck by contacting our friendly sales staff by phone or submitting a short contact form. Please let us know how we can make your new or used car buying, repairing or financing experience easier for you. We’re so happy to welcome you to Elder Chrysler Dodge Jeep Ram, where our attitude is the difference! When you visit our Dodge, Chrysler, Jeep and Ram dealership in Athens, TX, know that you’ll be receiving a top-tier customer experience regardless of what your needs may be. Our qualified Ram sales professionals are ready to provide you with stress- and haggle-free shopping, so you can browse our inventories of new Ram trucks, used Jeep SUVs and everything in between! We’ve got plenty of popular models for sale, from the new Jeep Grand Cherokee SUV to the Ram 1500 pickup to the Dodge Charger performance car. You can even build a fleet of Ram commercial vehicles by shopping our incomparable Ram work truck inventory. Browse to your heart’s content, then speak with our Ram financing department to discuss your auto loan or lease options. Elder Chrysler Dodge Jeep Ram also strives to be your go-to source for Jeep, Dodge and Ram service. 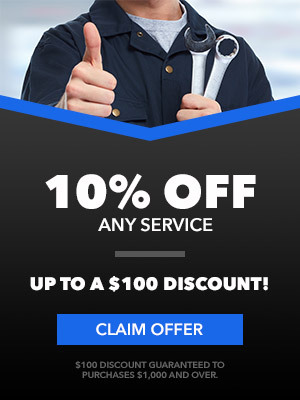 Whether you bought from us or not, let us be your neighborhood service experts and help you solve whatever car troubles you may be having. Whether you require a routine oil change or extensive collision repairs, our certified service technicians will get the job done and get you back on the road faster. Need quality OEM Mopar parts or Jeep accessories? No problem! Visit our Jeep, Chrysler, Dodge and Ram parts department to find exactly what you’re looking for. Elder Chrysler Dodge Jeep Ram is conveniently located in Athens, TX, and is easily accessible from Tyler, Corsicana, all of Henderson County and beyond! Be sure to visit us soon to get the Ram sales, Jeep service and Dodge financing experiences you deserve! Our attitude is the difference here at Elder Chrysler Dodge Jeep Ram. Let us prove it to you.